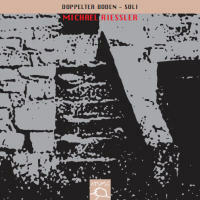 “Doppelter Boden – Soli.” Michael RIESSLER: Var. comps (2005). Michael Riessler (b-clar, e-flat-clar, sop-sax, toy instruments). Atopos ATP 011 (1 CD; rec. Sep. 17, 2005; 59:36) (http://www.atoposmusic.com/). Riessler fluently combines reeds and noisemakers. He performs live, without electronics or multi-tracking, and so when we hear two winds, he is actually playing both at once. There are also other extended techniques such as clicking and multiphonics. Concurrently, he triggers and elicits sounds from a “table of toy instruments” including what sound like metronomes, simple looping gadgets, guitars, thumb pianos and chimes. There are noisemakers simulating farm animals and crickets. The seven tracks range between 6:28 and 10:21 and have expansive titles: Transformed Loops, Vanished Pauses, Unrestrained Play, Animated Boxes, Floating Native, Dancing Nodes, and Burning Rings. Overall the mood is relaxed and enjoyable. I do not detect a story, and there appears to have been no intent to illustrate a transformation or be cute or clever. It requires skill to improvise and work through material and instruments for nearly an hour without forcing a profound moment. We hear serious, scary and whimsical textures. 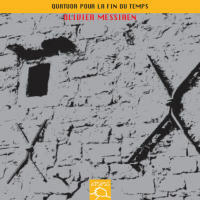 Olivier MESSIAEN: Quatuor pour la fin du temps (1941). Maurice RAVEL: Pavane pour une infante défunte (1899; arr. Denis ZARDI). Anton Dressler (clar), Roberto Noferini (vln), Andrea Noferini (vlc), Denis Zardi (pno). Atopos ATP 002 (1 CD; rec. September 15, 2000; 53:26) (http://www.atoposmusic.com/). Messiaen’s Quartet for the End of Time can’t be approached casually, and this ensemble gets it. My benchmark is Tashi’s 1975 recording, reissued variously including RCA Victor 7835-2-RG. Some groups accentuate the dramatic moments; this quartet takes a modest, less aggressive path. They emphasize what the music tells them. As a result, some tempos feel different, for example, the final Louange progresses casually and the piano’s double chords don’t ricochet. It’s not as if this group is discovering the work for the first time: The full ensemble and unison sections of Vocalise and Danse rock precisely. The live performance concludes with a charming encore, a delicate arrangement of Ravel’s Pavane, which leaves the listener craving for more. “Still Harping on Music.” Luciano BERIO: Sequenza II (1963). John CAGE: In a Landscape (1948); Dream (1948); Postcard from Heaven (1982; arr. Lucia BOVA, 2011). Fernando MENCHERINI: Un giardino a mente vuota (1996). Kaija SAARIAHO: Fall (1991). James DASHOW: Reconstructions (1992). Maurizio GIRI: Quaderni 6 (2006). Lucia Bova (harp). Atopos ATP 018 (1 CD; rec. Nov. 12, 2011; 77:37) (http://www.atoposmusic.com/). Despite a reading with finesse, Cage’s Landscape and Dream on harp grow indistinguishable, and the Berio has been outpaced, even if in 1963 it dusted off arpeggios and cobwebs to pedal the harp into the 20th century. However, the subsequent five pieces, each with tape or electronics, make this recital special. Bova’s realization of Cage’s Postcard from Heaven, originally written for anywhere between one and 20 harps, is for one live player along with others on tape. Starting atmospherically, presumably with harp strings being bowed and fed through reverb, Bova eventually elicits jarring buzzing sounds. Mencherini’s “An empty-minded garden” keeps the instrument up high to contrast against wiggly guitar sounds. Saariaho’s Fall works with the harp directly, live electronics teasing out reflections and echoes. Compared to the works which precede it, Reconstructions’ tape part offers the most varied sounds, rich computer synthesized washes and blips that wrap around the harp. In Dashow’s work, harp and tape proceed as equals, whereas, in Giri’s Quaderni 6, the harp slides over the electronic sounds. Circling back to the program’s start, Giri celebrates Satie whose influence was heard in the Cage. “Recondite Fisarmonie.” Toshio HOSOKAWA: Slow Motion (2002). György KURTÁG: excerpts from Játékok (1990-98; arr. KURTÁG and Teodoro ANZELLOTTI). Natalia GAVIOLA: Desde de los border (2003). 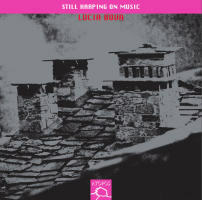 Luciano BERIO: excerpts from Duetti (1979-83; arr. BERIO and ANZELLOTTI). György LIGETI: excerpts from Musica Ricercata (1951-53). Teodoro Anzellotti (accordion). Atopos ATP 014 (1 CD; rec. July 29, 2005; 46:49) (http://www.atoposmusic.com/). In contrast with other times we’ve heard Anzellotti, this program includes keyboard arrangements as well as music intended for the accordion. Hosokawa’s Slow Motion was conceived for accordion and was inspired by the Japanese court dance, gagaku, slow movements meant to be in tune with the earth’s rotation and the universe. Indeed Hosokawa generates deliberate smearing clusters which suggest planets in motion. Gaviola’s Desde los bordes happily explores the unpitched noises the accordion can produce, with the eventual scales and held tones seeming incidental. Kurtág is continually adding to Játékok, a multi-volume collection of piano miniatures for one or more pianos. With Kurtág’s guidance, Anzellotti offers 11, terse and compact. Like the Kurtág, Berio’s violin duets and Ligeti’s Musica ricercata have pedagogical aims. 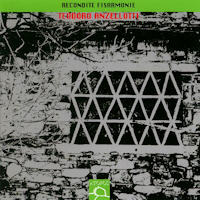 Anzellotti plays seven arrangements of the 34 duos, a suite which offers clear lines and intertwined melody and harmony. From Ligeti’s 11-piece collection, the accordion vividly renders six. “La Tromba è Mobile.” Vinko GLOBOKAR: La Tromba è Mobile (1980)1; Dédoublement (1975)2. Vinko GLOBOKAR and Jean-Pierre DROUET: Improvvisazione libera (2001)3; Encore (2001)4. Student ensemble1, Vinko Globokar1 (cond. ), Michael Riessler2 (clar), V. Globokar3,4 (trb), Jean-Pierre Drouet3,4 (perc). Atopos ATP 007 (1 CD; rec. Sep. 13, 19801, Mar. 18, 19772, Sep. 15, 20013,4; 59:25) (http://www.atoposmusic.com/). Atopos outfits the Globokar discography with wonderful rarities recorded under different circumstances and published here. La Tromba è Mobile requires a minimum of two dozen wind and percussion players, in this case an unidentified student group. Instrumentalists move around the performance space reacting to a leader’s signals sometimes issued via megaphone. The musical content derives from dance gestures. The result is a marching band splintering and wandering, reacting to unseen instructions. Knowing that we’re listening to a recording, we yet harbor the possibility that an unscheduled chaos will occur. Dédoublement requires the clarinetist to play two pedal timpani which are manipulated to create glissando and echo effects, creating the impression of multiple recordings. Indeed the timpani’s contributions are quasi electronic. Over at Edition Peters, on Globokar’s publisher’s website, the piece now appears as Redoublement. Between 1969 and 1982, Globokar and Drouet were members of the improvising group New Phonic Art. Recorded in 2001, the 25:19 Improvvisazione libera and the 6:17 Encore mark the first time since then they’ve improvised together. These are volatile, swift-changing pieces. On the surface we know that a percussionist and trombonist are working, yet it’s unclear what instruments, gizmos and gadgets they are actually using. We hear rasping shouts, powerful drums and brass shrieks. The duet indulges in comedy and nightmares. “Les mains veulent parler aussi.” Mauricio KAGEL: Solo from Exotica (1972). Vinko GLOBOKAR: Toucher (1973); Ombre (1989). Jean-Pierre DROUET: Les confidences d’une table (2001); De 7 à 8 (2001). Jean-Pierre Drouet (perc.). Atopos ATP 005 (1 CD; rec. Sep 15, 2001; 50:51) (http://www.atoposmusic.com/). This recital documents a particularly invigorating percussion practice that also requires the performer to speak and act. The solo excerpt from Kagel’s Exotica sets the stage. The larger percussion sextet presents a typically Kagelian dilemma: Simulate non-Western music without leaving the Western perspective. While the notation is traditional, the exotic instruments are to be unfamiliar to the players. The players also speak in a made-up language. Drouet slaps at a drum and vocalizes in a quasi-Asian patter. It could be authentic, but we know it isn’t, and this disturbs as much as it entertains. Globokar’s Toucher matches percussion gestures to specific vowel sounds. Drouet must recite a text by Brecht simultaneously transposing the words into their new percussion counterparts. Les confidences d’une table is an improvisation setting objects in motion so that their resonance is captured through a wooden table. Things are struck and rubbed, and the wooden surface is amplified to capture the sympathetic noises. Ombre sets up a conflict. A rhapsodizing percussionist suggesting Asian music competes with synthesized percussion. De 7 à 8 is billed as an improvisation despite its considerable shape and depth. 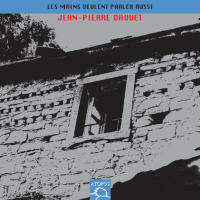 Drouet works mostly with drums with an interlude of guitars and whistles suggesting a different decade. Quite likely these pieces were recorded at the concert in which Drouet and Globokar improvised together (and released on Atopos ATP 007).